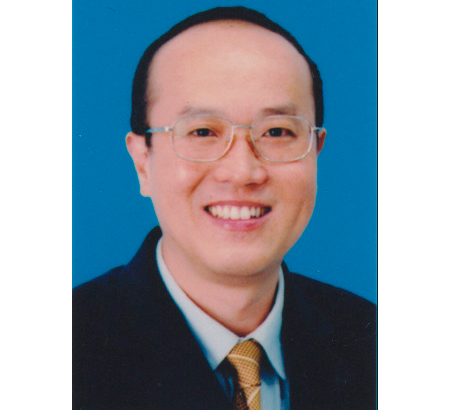 Xiangmin Xu is a Professor and Director of Department of Medical Genetics, School of Basic Medical Sciences, Southern Medical University, Guangzhou, China. He received his MD degree from the Hsiang-ya Medical College in 1982. He has engaged in the study mainly focused on the molecular pathology and application of DNA-based technology to clinical diagnosis of hemoglobin disorders for 30 years. His current research interest focuses on identification of genetic variants in modifier genes responsible for clinical phenotypic severity of -thalassemia. He was a winner of National Science Fund for Distinguished Young Scholars. He was awarded the second-class prize of the National Sci-Tech Advance Award for his achievements of promoting the clinical application of molecular diagnostic techniques in hemoglobinopathy. Prof. Xu is a Chairman-Designate at Chinese College of Medical Genetics, Chinese Medical Association and a Vice-Chairman at Chinese Association of Clinical Molecular Diagnostics, Biophysical Society of China. He edited two influential books in China: Clinical Genetic Counselling and Guidelines for Thalassemia Prevention and Control Programme. He has had more than 180 papers published in peer-reviewed journals including Am J Hum Genet, Blood, Clin Chem, J Am Chem Soc, Hum Mutat, Clin Genet, J Mol Diagn and Pren Diagn. Linfa (Lin-Fa) Wang is the director of the Programme in Emerging Infectious Diseases at Duke-NUS Medical School, Singapore. He is an international leader in the field of emerging zoonotic viruses and virus-host interaction. He is a member of the WHO SARS Scientific Research Advisory Committee, and played a key role in identification of bats as the natural host of SARS-like viruses. 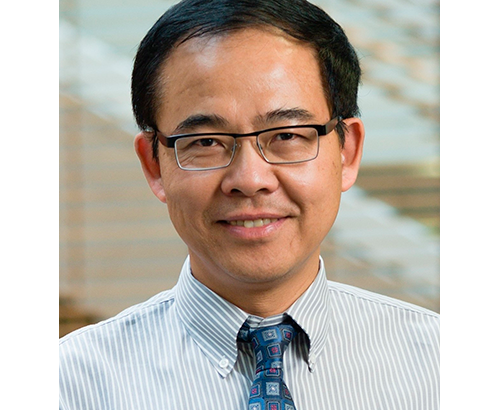 Prof Wang has more than 350 scientific publications, including papers in Science and Nature. He is currently the Editor-in-Chief for the open access Virology Journal. In 2010, Prof Wang was elected to the Australian Academy of Technological Sciences and Engineering. 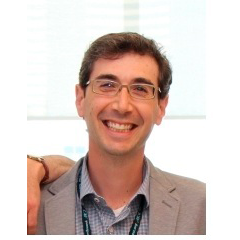 Adam Shlien is Associate Director of Translational Genetics in the Department of Paediatric Laboratory Medicine at the Hospital for Sick Children, and a Scientist in the Genetics and Genome Biology division at the SickKids Research Institute. His research team uses the tools of modern sequence-based genomics to discover the mutations that are present in the genomes of paediatric cancer patients, and to understand how these mutations alter the somatic transcriptome. Adam is also directly involved with the introduction of genomics, such as whole genome sequencing, into clinical practice. He co-directs the SickKids Cancer Sequencing program, KiCS, and is on the executive team of Canada’s national precision medicine program for kids and young adults with cancer, PROFYLE. Adam received his PhD from the University of Toronto for the study of copy number variation and cancer susceptibility. He continued his training as a Postdoctoral and Holmes Fellow at the Wellcome Trust Sanger Institute with Sir Mike Stratton and Dr. Peter Campbell, where he developed methods to understand the transcriptional consequences of point mutation in cancer. Hamish S. Scott has a long standing track record is in the application of genetic and genomic technologies for genetic disease discovery, understanding, diagnoses and treatment. He did his PhD and first post-doc at the Adelaide Women’s and Children’s Hospital followed by 5 years at the University of Geneva Medical School, Switzerland where joined junior faculty. He returned to Australia at the Walter and Eliza Hall Institute of Medical Research (WEHI) in Melbourne for 8 years. Since 2008, he has been head of the Department of Genetics and Molecular Pathology at the Centre for Cancer Biology, an alliance between SA Pathology & the University of South Australia. He has transformed his department from being largely diagnostic (~40 people), to being a dynamic academic/diagnostic department integrated with the CCB ACRF Cancer Genome Facility (of which he is co-director). Including the genome facility, his department now has ~35 full-time research personnel and is active in student placements and clinical trials. He has been central to the introduction of new technologies for both somatic and germline genotyping for improved diagnoses and treatment (personalized medicine) including national and international firsts for which his team has won several prizes. He is a national and international leader in identification of germline mutations in families and patients that predispose them to blood cancers and somatic mutations to monitor their disease. 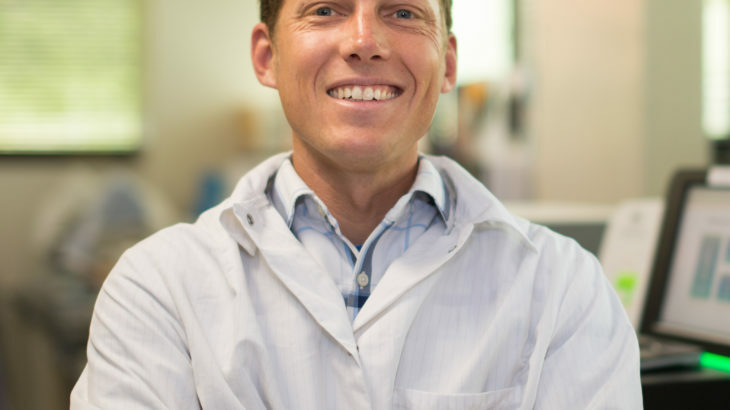 He is a co-leader of a national study to identify genetic causes of perinatal death and for molecular testing for the Australian Genomic Cancer Medicine Centre precision oncology clinical trials. He has studied and modelled human genes, alleles and diseases in vitro, ex vivo and in vivo. Robert Schlaberg is an assistant professor of pathology at the University of Utah School of Medicine. He received his MD and doctor medicinæ degrees at the Julius-Maximilians-University in Wuerzburg, Germany and his master of public health at the Mailman School of Public Health at Columbia University in New York City, where he also served as a postdoctoral fellow. Dr. Schlaberg trained in clinical pathology at the Columbia University College of Physicians & Surgeons, where he was the chief clinical pathology resident. He is certified in clinical pathology and medical microbiology by the American Board of Pathology. 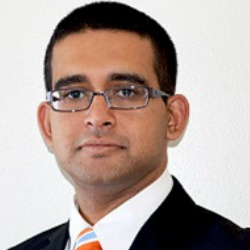 His research focuses on the use of next-generation sequencing for unbiased pathogen detection. Somak Roy is an Assistant Professor of Pathology at the University of Pittsburgh Medical Center (UPMC). He serves as the Director of Molecular Informatics and genetics Services at the Division of Molecular and Genomic Pathology at UPMC. Dr. Roy is a board-certified molecular and anatomic pathologist. His clinical and translational work focuses on the following; 1) Use of modern computational infrastructure and innovative software technology for high-throughput sequence analysis, genomic data visualization, and optimizing molecular laboratory workflow. 2) molecular characterization of urothelial carcinoma to identify clinically relevant, theranostic biomarkers. Since 2014, he has been a member of Informatics Subdivision in the Association of Molecular Pathology (AMP). He served as a representative to the Clinical Practice Committee from 2014-2016 and currently to the Program Committee. Dr. Roy is currently chairing the AMP workgroup that is developing guidelines for validation of clinical NGS bioinformatics pipeline. Dr. Roy completed his medical school training at Seth G.S Medical College, Mumbai followed by pathology residency training at Maulana Azad Medical College, New Delhi. Upon arrival to the United States, he completed anatomic pathology residency from the University of Pittsburgh Medical Center and fellowships in Molecular and Genitourinary Pathology from the same institution. 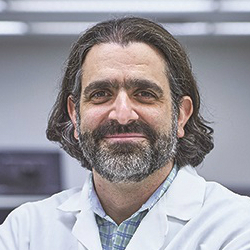 Adam Resnick is Co-director of Data Driven Discovery in Biomedicine (D³b) at Children’s Hospital of Philadelphia (CHOP). His research is focused on defining the cell signaling mechanisms of oncogenesis and tumor progression in brain tumors. Resnick’s research lab studies cell signaling cascades and their alterations in pediatric brain tumors to elucidate the molecular and genetic underpinnings of each tumor in an effort to identify and develop targeted therapies. Dr. Resnick serves as Scientific Chair for several consortia-based efforts, including the Children’s Brain Tumor Tissue Consortium (CBTTC) and Pacific Pediatric Neuro-Oncology Consortium (PNOC), which include more than 20 pediatric hospitals across the globe. As co-director of D³b, Dr. Resnick leads a multidisciplinary team to build and support a scalable, patient-focused healthcare and educational discovery ecosystem on behalf of all children. 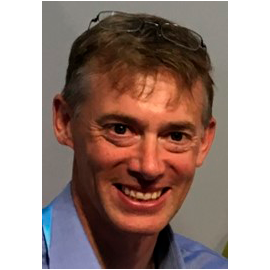 Simon J. Patton is currently Director of the European Molecular Genetics Quality Network (EMQN) – the global leader in the provision of External Quality Assessment (EQA) schemes to diagnostic laboratories in the fields of genetics and pathology. He trained at the University of Liverpool in marine biology, before doing his doctorate in Genetics at the University of Cambridge. He is currently at Manchester University NHS Foundation Trust. 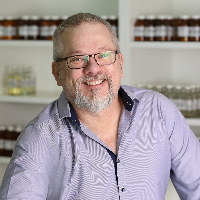 Simon’s work has focussed on global improvement in the standards and quality of diagnostic laboratory testing – a field that he has worked in since 1999 through his involvement with the EMQN. 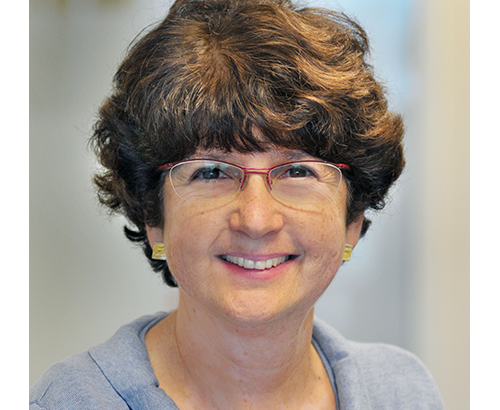 Sharon E. Plon is a diplomat of the American Board of Medical Genetics and Genomics. She received her MD and PhD (Biophysics) degrees from Harvard University and completed her medical genetics clinical training at the University of Washington. Dr. Plon has been a faculty member of Baylor College of Medicine and Texas Children’s Hospital for 25 years. She is now Professor in the Departments of Pediatrics/Hematology-Oncology, Molecular and Human Genetics and Human Genome Sequencing Center. Drs. Plon and D. William Parsons were principal investigators of the NHGRI/NCI-funded BASIC3 clinical trial on the incorporation of exome sequencing into the care of newly diagnosed childhood cancer patients and this study is now being expanded into several different centers in Texas (KidsCanSeq trial. Dr. Plon serves on the National Advisory Council for Human Genome Research of the NIH and is a member of the Board of Directors of the American Society of Human Genetics. Dr. Plon also co-chairs the germline reporting committee of the Children’s Oncology Group/NCI Pediatric MATCH national precision oncology trial which opened in August 2017. Since 2013, Dr. Plon has served as one of the Principal Investigators of the NIH-supported Clinical Genome (ClinGen) Resource and chairs the ClinGen Hereditary Cancer Clinical Domain Working Group. Yoshinao Oda is Professor and Chairman of the Department of Pathology at the Kyushu University, Fukuoka, Japan. Prof Oda graduated in 1987 from Kyushu University in Japan and completed his thesis on surgical pathology of soft tissue sarcoma in 1993. He stayed in Germany as Alexander Humboldt Research fellow between 1993 and 1995, under the direction of Prof. Albert Roessner in Magdeburg University. He performed research about recently developed molecular pathology in mesenchymal tumors. He assumed the present position in 2010. He published more than 500 original articles concerning diagnostic and molecular pathology in the fields of soft tissue tumors, as well as other human solid tumors. 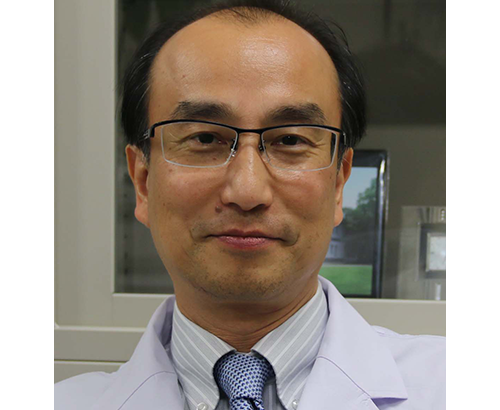 He has been awarded the Japan Pathology Award 2016 by Japanese Society of Pathology.